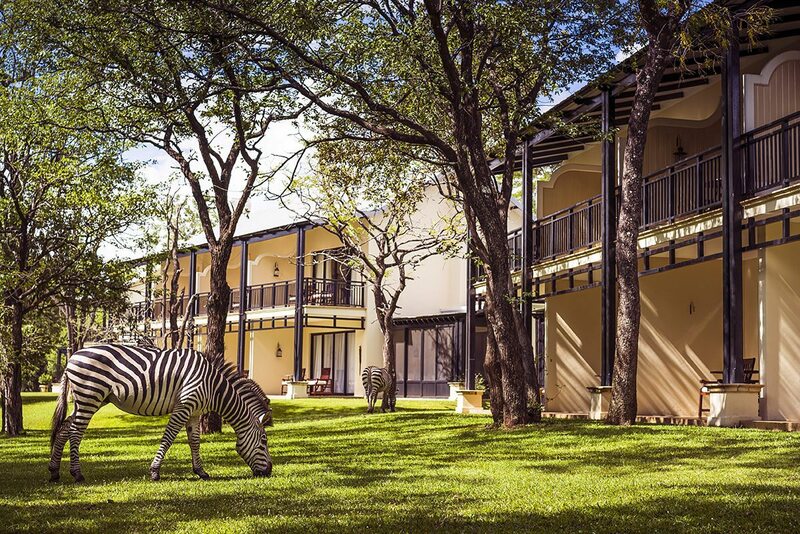 Just upstream from where the Victoria Falls thunders into Batoka Gorge, luxury Zambia hotel The Royal Livingstone offers incomparable views over the forested banks of the Zambezi River. 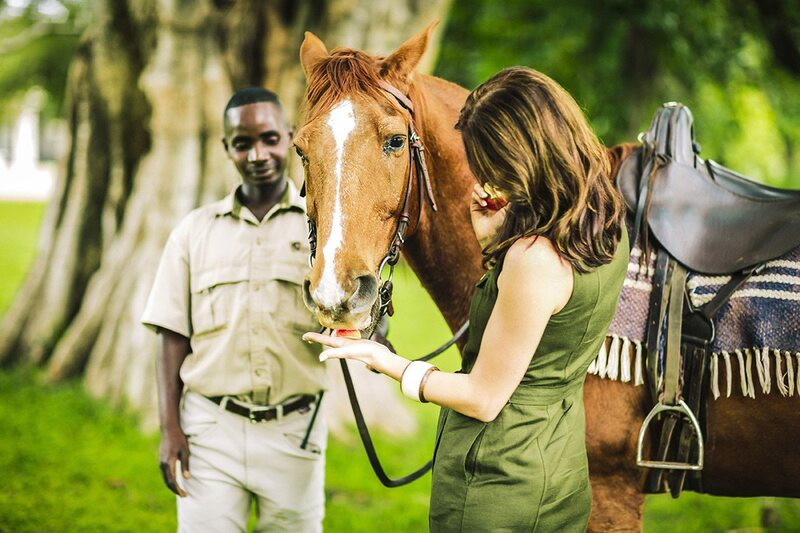 The sight is paired with old-world luxury and exciting activities, including game drives and a steam-train journey along one of Africa’s most scenic railway passes. I’m filled with a sense of excitement when we see plumes of spray from ‘The Smoke that Thunders’ casting rainbows into the sky. 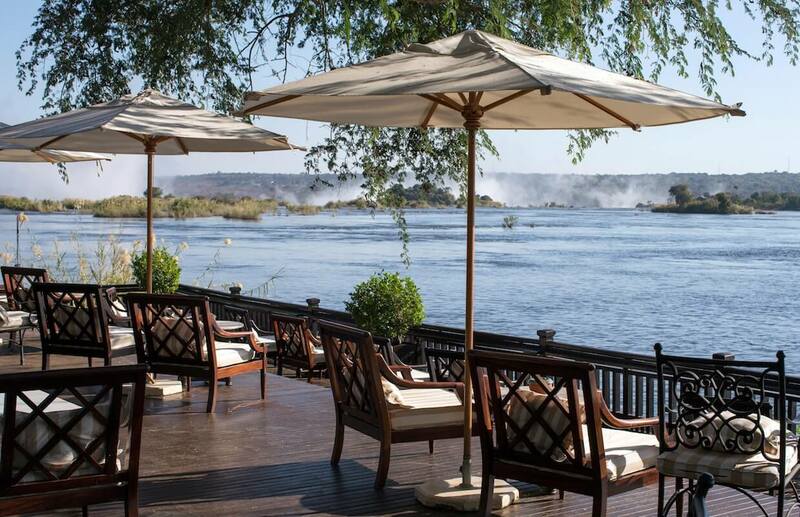 From our seat at The Royal Livingstone’s stunning sundeck and outdoor bar, the Zambezi River stretches in front of us, here calm and peaceful as it’s drawn inexorably downriver to its tumultuous descent at Victoria Falls. I can’t think of a better setting from which to relax over a cocktail.We’re eager to engage in some of the exciting activities on offer at the falls, so we finish our drinks and walk back over the sprawling landscaped gardens to the hotel, which still takes our breath away with its grand Victorian elegance. Beatrice, our private butler, appears magically, somehow intuiting that we need her excellent advice. After a short consultation, we decide to walk the 10 minutes to the falls rather than use the shuttle, taking advantage of the warm weather, and the hotel’s exclusive access. We’ll use the time to talk about our upcoming microlight adventure. I’m filled with a sense of excitement when we see plumes of spray from ‘The Smoke that Thunders’ casting rainbows into the sky. 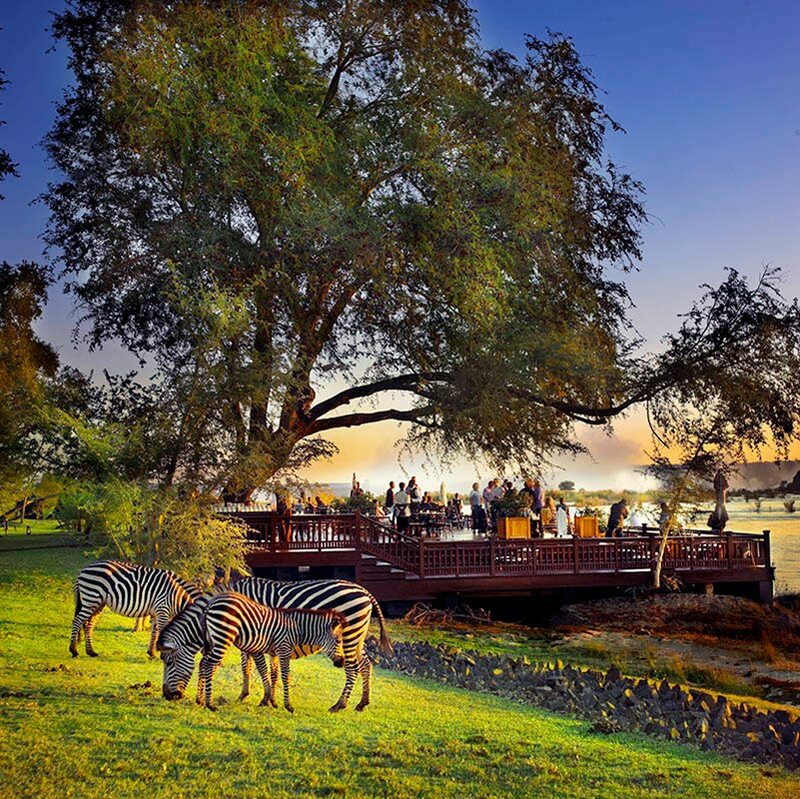 From our seat at The Royal Livingstone’s stunning sundeck and outdoor bar, the Zambezi River stretches in front of us, here calm and peaceful as it’s drawn inexorably downriver to its tumultuous descent at Victoria Falls. I can’t think of a better setting from which to relax over a cocktail. 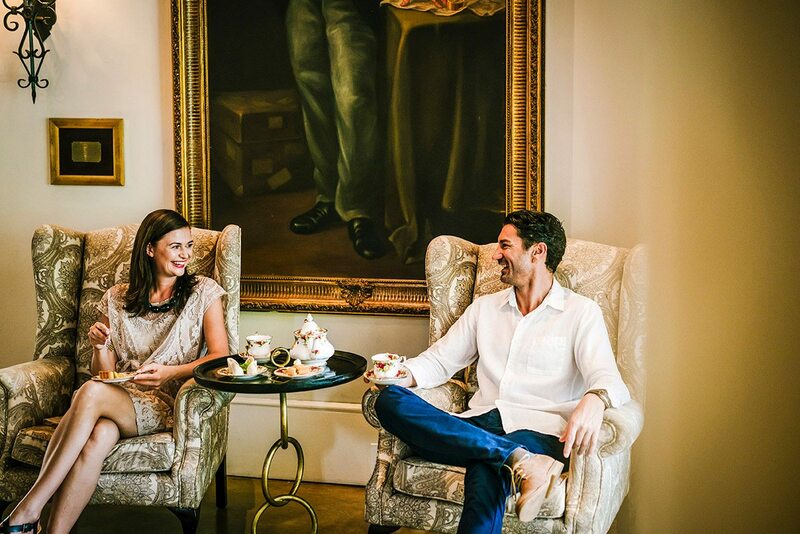 We’re eager to engage in some of the exciting activities on offer at the falls, so we finish our drinks and walk back over the sprawling landscaped gardens to the hotel, which still takes our breath away with its grand Victorian elegance. Beatrice, our private butler, appears magically, somehow intuiting that we need her excellent advice. After a short consultation, we decide to walk the 10 minutes to the falls rather than use the shuttle, taking advantage of the warm weather, and the hotel’s exclusive access. We’ll use the time to talk about our upcoming microlight adventure. 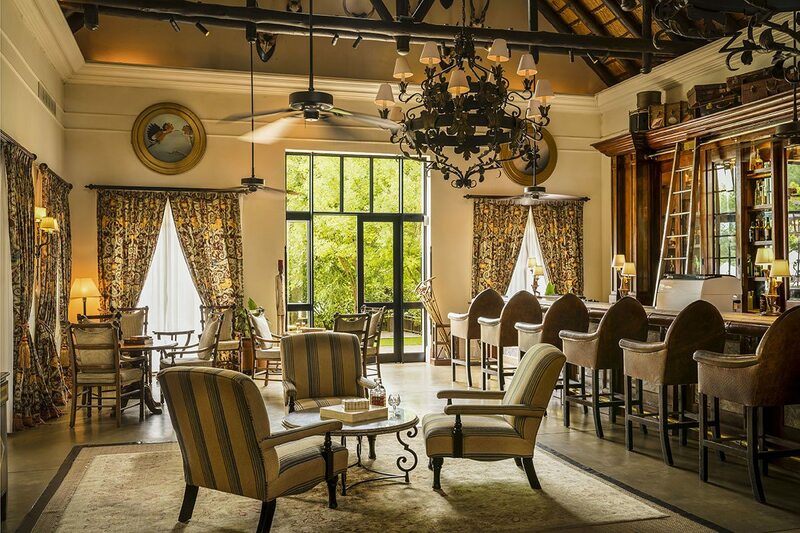 After being wowed by the views that captivated David Livingstone when he ‘discovered’ the Victoria Falls in 1855, we return to The Royal Livingstone and wander through the lounge, which boasts hand-drawn maps and paintings of the legendary explorer. The hotel is vast and spacious, decorated in Victorian antiques and ornate furniture, which makes me feel like I’m walking back in time.Although one of 173, with its dark hardwood furniture, African colour-tones and outsized armchairs, our room is distinctive. Its balcony looks out over the river, and with the spray from the falls in the far distance, it allows for a dramatic and atmospheric vista. While my partner starts journaling at the writing desk, I luxuriate under a spray of my own, turning on the shower full blast as I dream of swimming in Devil’s Pool at the very edge of the falls – tomorrow morning’s planned activity! 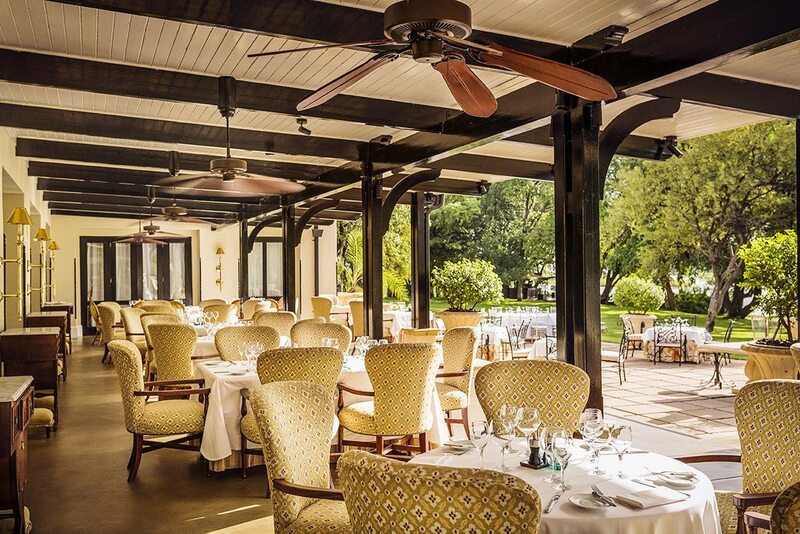 After being wowed by the views that captivated David Livingstone when he ‘discovered’ the Victoria Falls in 1855, we return to The Royal Livingstone and wander through the lounge, which boasts hand-drawn maps and paintings of the legendary explorer. The hotel is vast and spacious, decorated in Victorian antiques and ornate furniture, which makes me feel like I’m walking back in time. 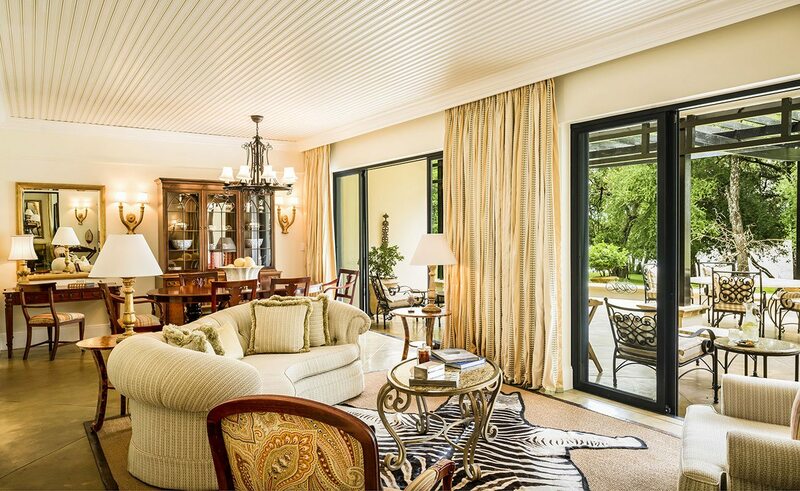 Although one of 173, with its dark hardwood furniture, African colour-tones and outsized armchairs, our room is distinctive. Its balcony looks out over the river, and with the spray from the falls in the far distance, it allows for a dramatic and atmospheric vista. While my partner starts journaling at the writing desk, I luxuriate under a spray of my own, turning on the shower full blast as I dream of swimming in Devil’s Pool at the very edge of the falls – tomorrow morning’s planned activity! Being so close to Victoria Falls meant we could see one of the Seven Natural Wonders of the World as many times we wanted, with ease of access facilitated by The Royal Livingstone’s private entrance for guests.Whether relaxing on the sundeck or lazing on our verandah, we always had the best possible views over the Zambezi River, with the rising mist creating a sense of drama and excitement every time we saw it.This hotel harks back to a grandly different era, with an old-world attention to detail that really distinguishes it – including having a private butler attend to your every need. They do have a nod to modernity though, offering you an electric buggy ride to your room!We loved the massages in the waterfront gazebo, the large swimming pool and of course afternoon high tea, an excuse to indulge in cucumber sandwiches, an array of cakes, pastries and desserts and fragrant teas from around the world while zebra and giraffe wander across the lawns. This was only surpassed by our spectacular sunset cruise on the river. 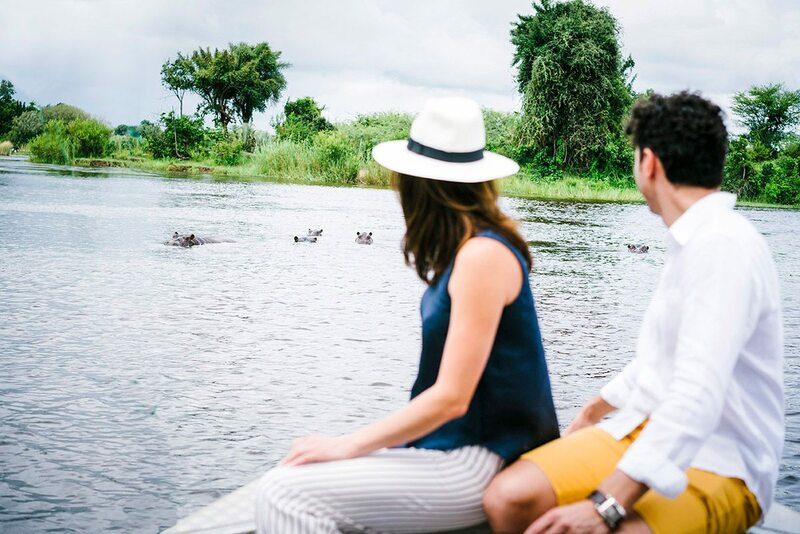 Being so close to Victoria Falls meant we could see one of the Seven Natural Wonders of the World as many times we wanted, with ease of access facilitated by The Royal Livingstone’s private entrance for guests. 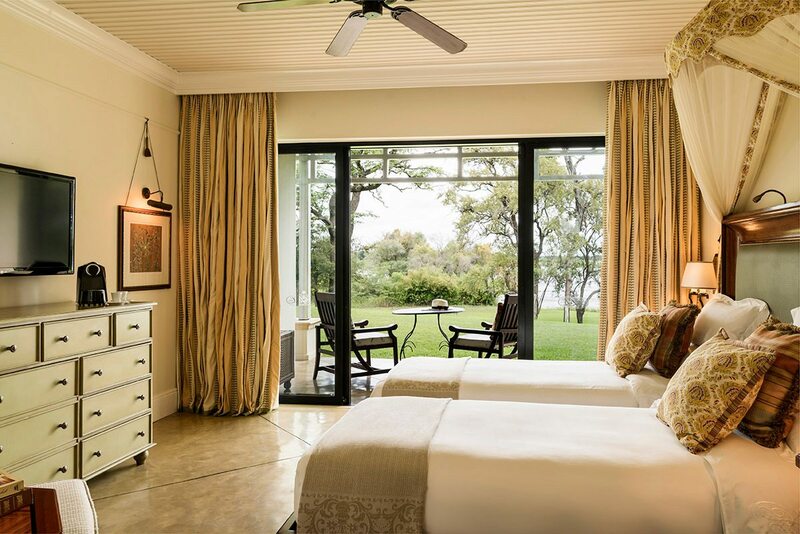 Whether relaxing on the sundeck or lazing on our verandah, we always had the best possible views over the Zambezi River, with the rising mist creating a sense of drama and excitement every time we saw it. 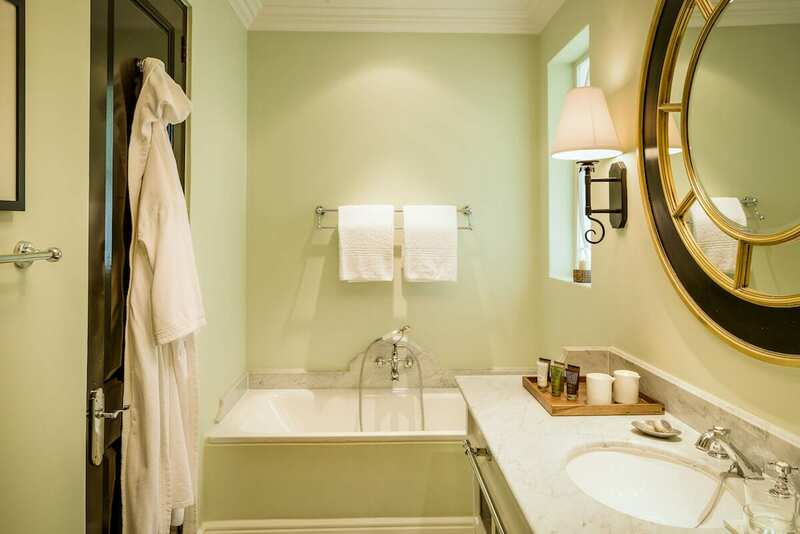 This hotel harks back to a grandly different era, with an old-world attention to detail that really distinguishes it – including having a private butler attend to your every need. They do have a nod to modernity though, offering you an electric buggy ride to your room! 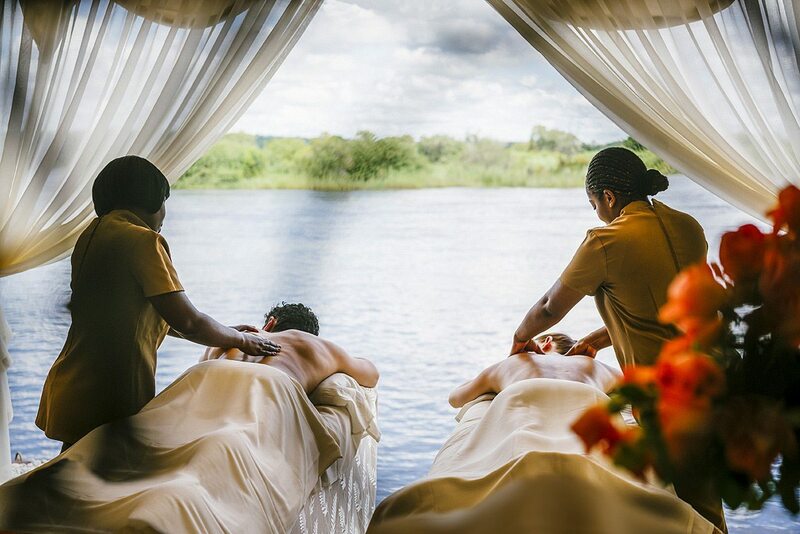 We loved the massages in the waterfront gazebo, the large swimming pool and of course afternoon high tea, an excuse to indulge in cucumber sandwiches, an array of cakes, pastries and desserts and fragrant teas from around the world while zebra and giraffe wander across the lawns. This was only surpassed by our spectacular sunset cruise on the river. 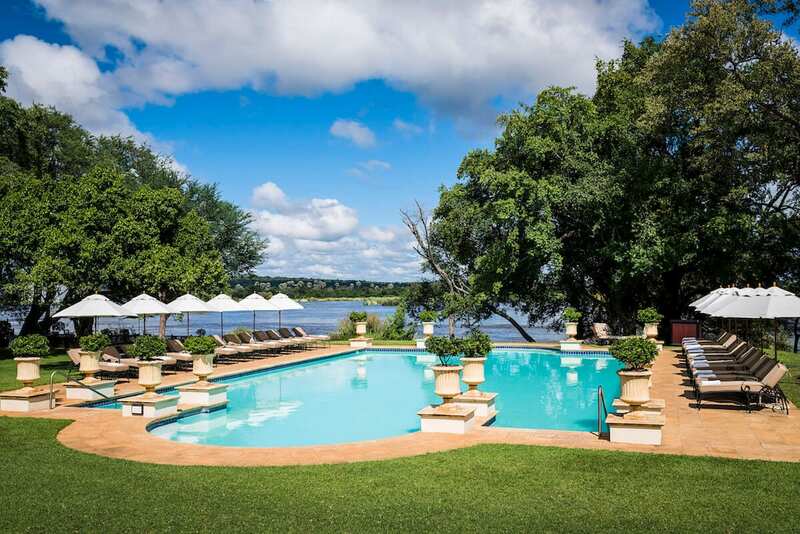 Luxury hotel with 173 rooms (deluxe rooms, deluxe corner rooms, deluxe family room, Livingstone Suite and Presidential Suite) overlooking the Zambezi River. The hotel has a swimming pool and fitness centre. 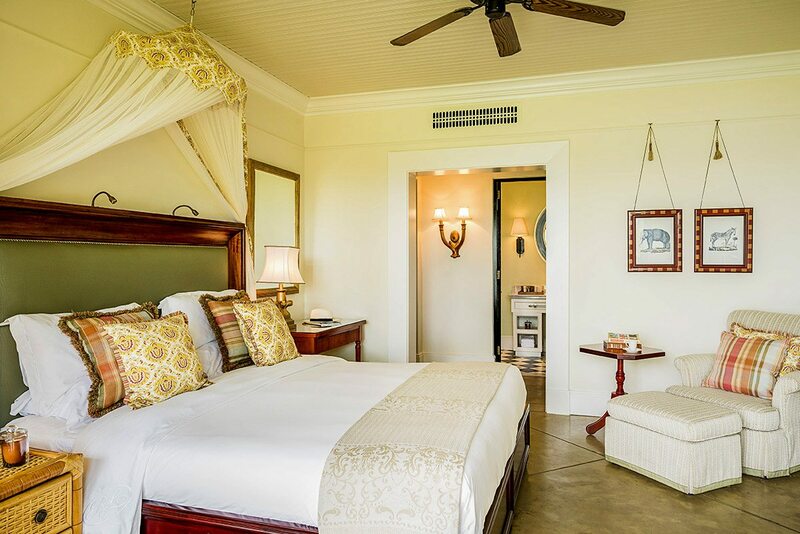 Exclusive and complimentary access to Victoria Falls, private butler, variety of restaurants and dining locations, private dining and 24-hour in-room dining. 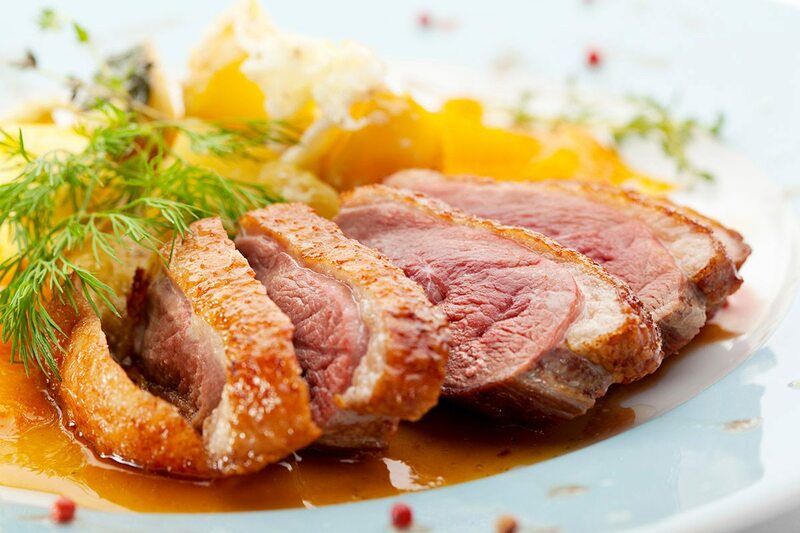 Swimming, gym, spa treatments (additional cost), game drives (additional cost), river cruises (additional cost), catch-and-release tiger fishing (additional cost), white-water rafting (additional cost), jet boarding (additional cost), horse riding (additional cost) and steam-train excursions (additional cost). Early in winter, there are still good volumes of water flowing over the falls, and this coincides with prime safari times in Chobe and the Okavango. 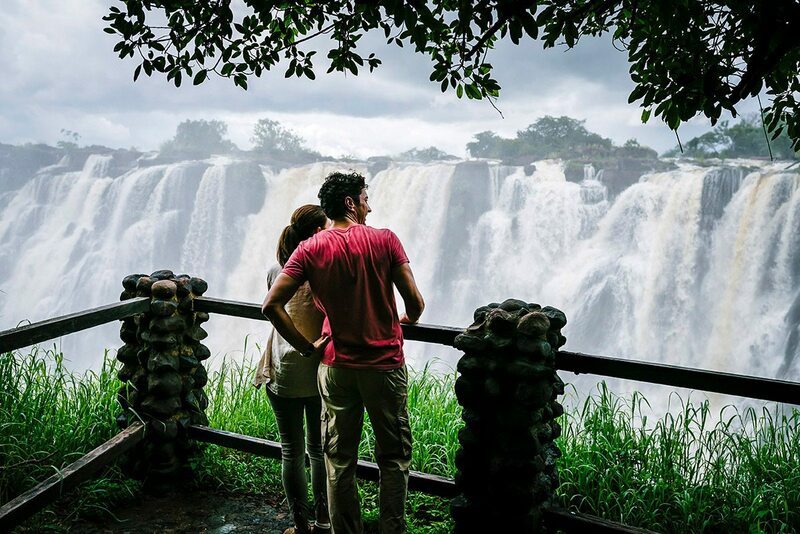 As winter progresses, the water at the falls decreases, and it eventually splits into several discrete cascades (and may dry up entirely on the Zambian side). Island picnics above the falls and the Devil’s Pool are on the agenda, as well as better views of the rocky gorges thanks to reduced spray. Tamer canoeing options on the Upper Zambezi (above Victoria Falls) are available year round. 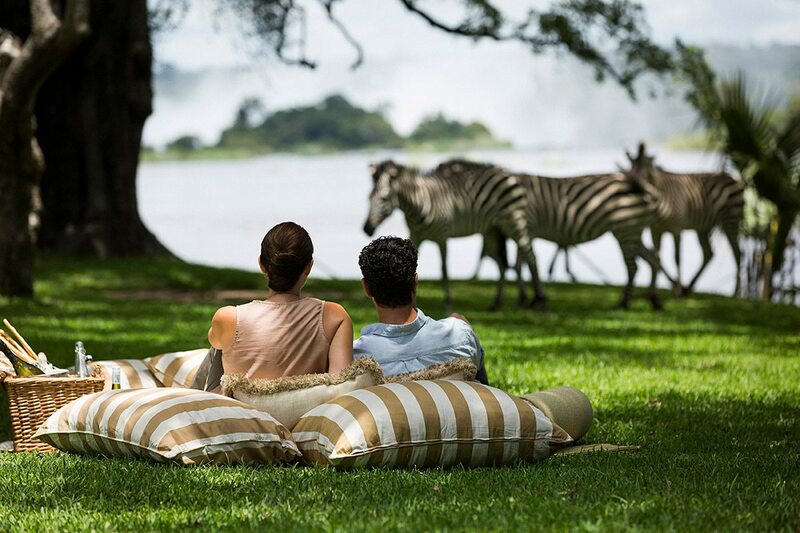 The Southern African summer season contains the very best months of the year to experience Victoria Falls at its most impressive. 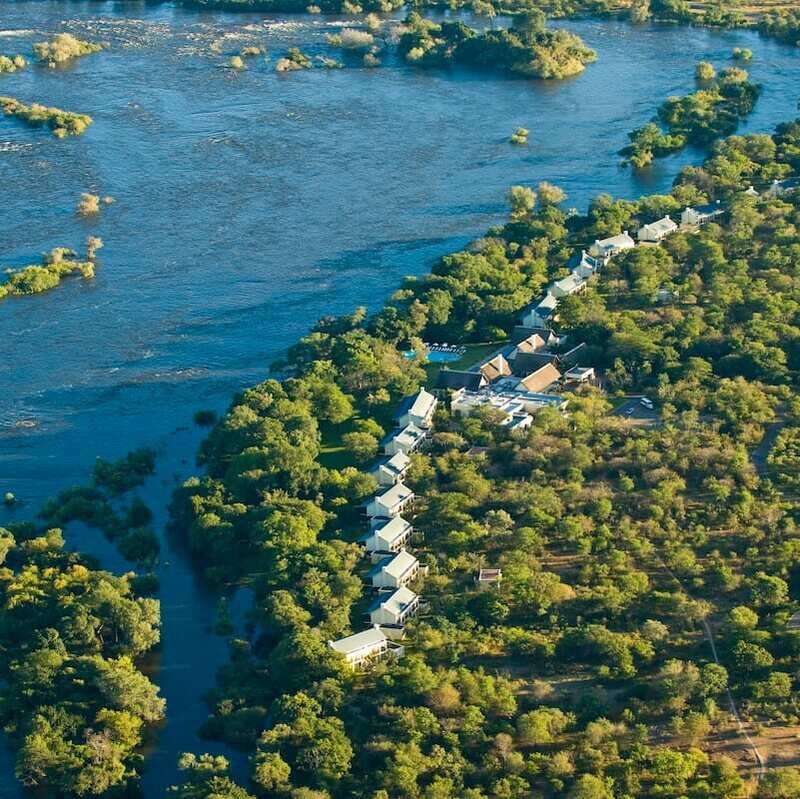 Swollen by summer rains, from around February to May the Zambezi River tumbles over the precipice as a single immense sheet of water, with all the noise, spray and humidity you could wish for. 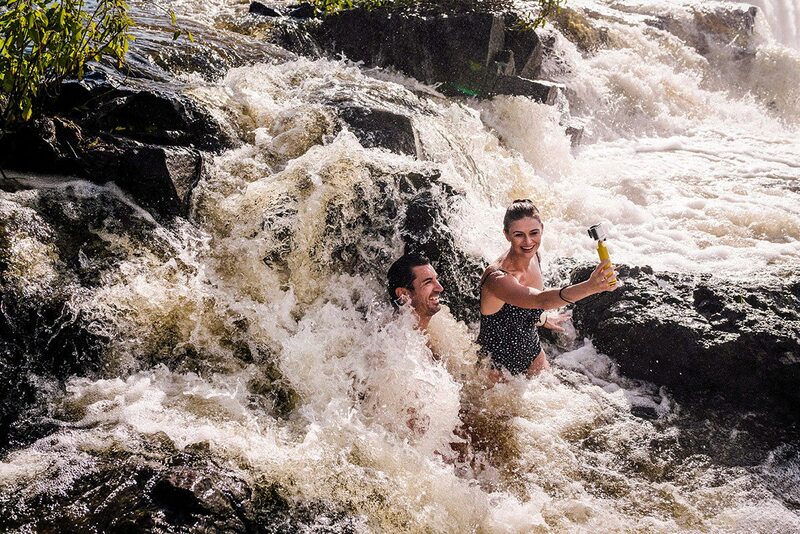 Some activities immediately above the falls (like swimming in Devil’s Pool) are impossible, however. 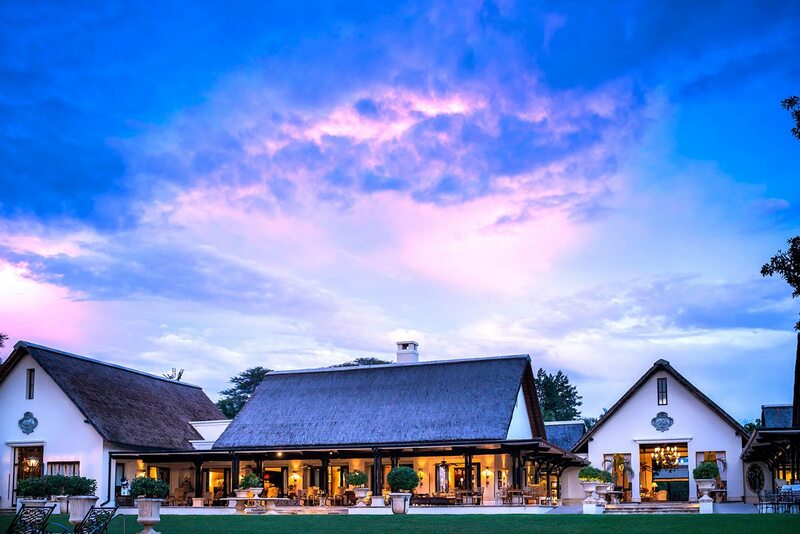 Combine with a safari to any of the two countries’ game reserves to enjoy the best of the green season’s predator activity, and lower occupancies in luxury lodges.